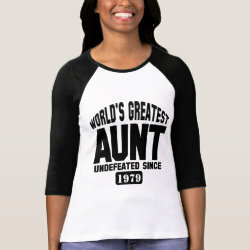 This fun, original design reads "World's Greatest Aunt" in collegiate-style font. 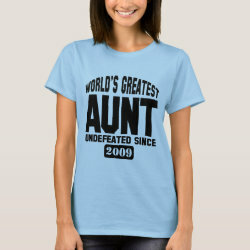 Below it says "Undefeated Since" with a customizable area for you to fill in whatever More... year your auntie first became an aunt! 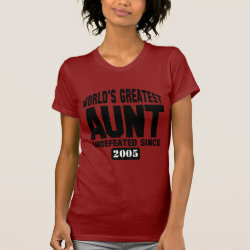 You can further totally customize this shirt! Add text, change the color, move the design around, pick a different shirt style - make it your own!